So I have a confession- I am a stamp hoarder. 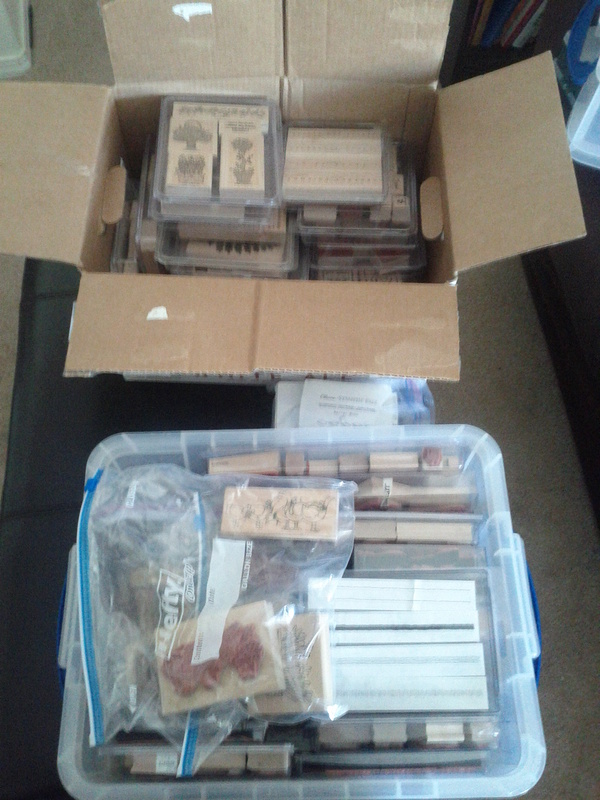 I have 2 huge boxes full of stamps and everything you need to stamp to my hearts content. Now here’s the sad part- I haven’t stamped in probably 2 years. None of my friends are really into stamping and I have been so busy that I rarely have the time to get all the stuff out. Today I was thinking of what I could do that wouldn’t be a strain on my eyes but would be fun. Without reading or watching TV and limited company I was going a bit stir crazy! The thought occurred to me- get out that stamping stuff and use it! Even I was surprised at how much stuff I have. Now in my defense I got most of it from 2 different friends who gave me their collection and one whom I paid her for it as a favor but still its a lot! The funny thing is I really enjoy stamping so why don’t I do it more? I know I have the time but somehow when it is stored away it gets forgotten. Do any of you do this- have hobbies you enjoy and have all the stuff for but you never actually do them? Kind of sad that it takes a blinding surgery for me to get out my stamps. Anyone out there relate? If anyone wants to stamp with me I’d love it! 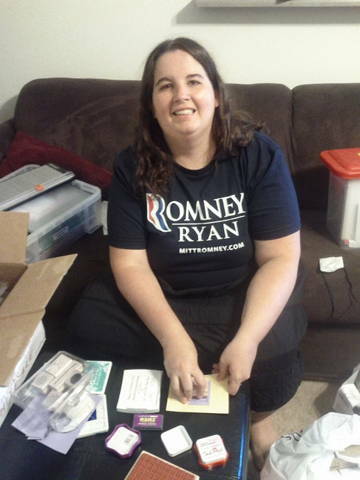 Or if you want to borrow stamps just come on over! I especially have stamps for cards as that is my thing. Not really much of a scrapbooker (especially because I never print out photos any more). Here is the project I worked on today. I hope to reestablish the hobby and get busy stamping! My latest creation. Thank you cards for those who helped with my eye surgery. 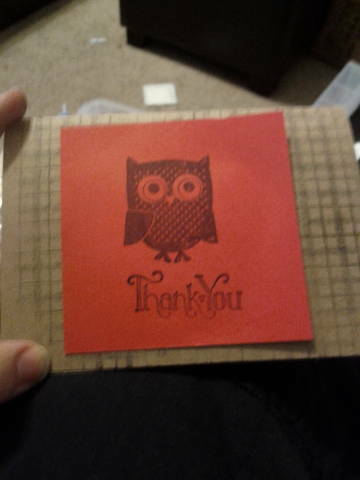 Isn’t that owl stamp cute?